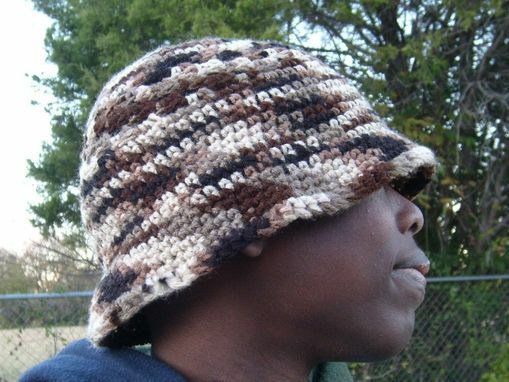 You're going to love this this very versatile hat for men and teens! 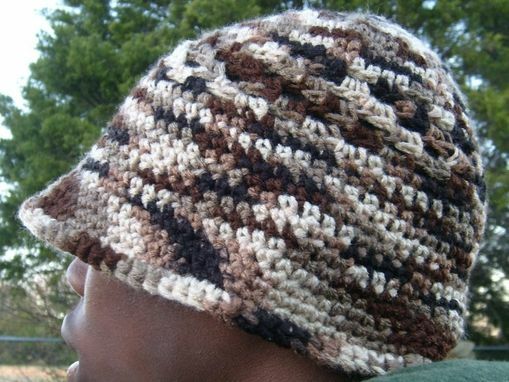 Hand-crocheted in brown and tan camouflage yarn, this hat will fit a range of sizes from teens all the way up to adults! 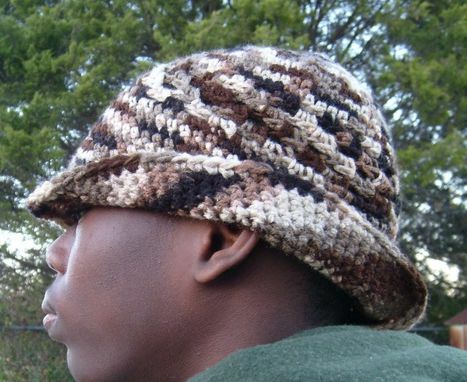 Roll up the brim on the side for a mysterious look , or wear the brim all the way down for a stylish look! 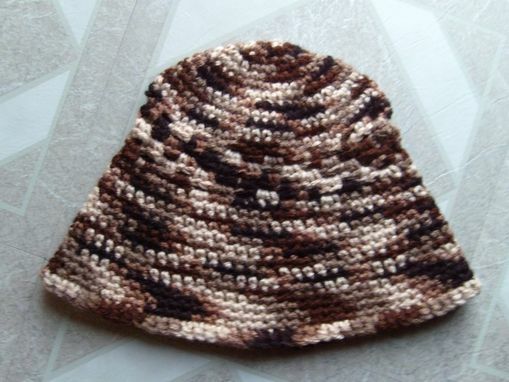 This hat is machine washable in the gentle cycle and can be laid flat to dry, its super stretchy and will feel more comfortable the more you wear it. Just perfect for that very special guy!